Starfish are sea stars. Although we think of them as being 5 legged creatures and most likely picture them as a bright white color, in reality they are quite different. Starfish are not fish at all. They are part of the Echinoderm family along with sea urchins, sea cucumbers and sand dollars. They have an exoskeleton and radial symmetry which means that all their legs grow from a central body and some sea stars have many more than five legs. In fact some stars don’t look anything like the stars we picture. They are very often colorful and can be bright orange, red and purple. Some of them have bumps and spines on top and some are smooth. One thing all starfish have in common is that they are found only in salt water. They are mostly nocturnal also, to avoid predators as much as possible. The feather star has long feathery legs which it uses to grab it’s food as it clings to coral or sea fans. The feather star can look something like a colorful underwater shrub. 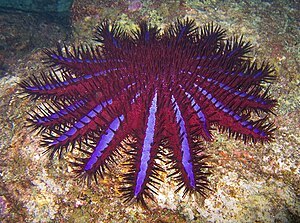 The crown of thorns sea star is quite an amazing looking creature with spikes all over it (pictured here). Sea stars are fascinating marine life. They can even regenerate limbs and divide themselves to become two. In some cases they can become a new animal from just one arm! 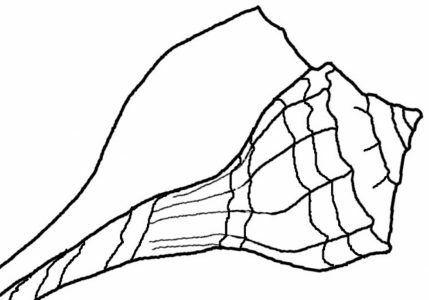 Next Post Where and When To Find The Best Seashells? Could you help me with an answer? What is the name for the seashells in form of stars? Starfish or sea stars are the ones I know. They are echinoderms.